Immediate opening for an experienced A or B level European automotive technician at German Tech Auto, a family-owned shop that has been successfully serving its community since 1992. 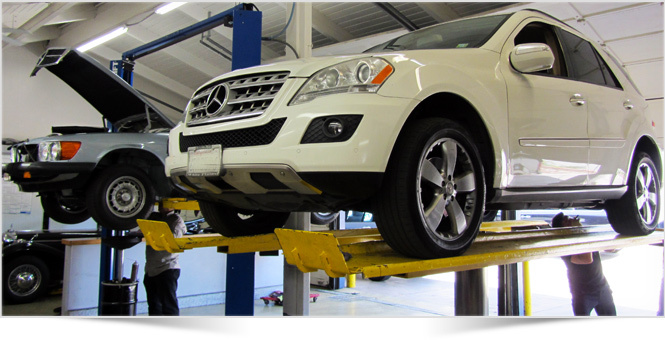 Experienced BMW and Mercedes Benz auto technician with knowledge of both current and older models. Must have clean driving record and professional work habits. References preferred. Would like ASE Certified Master Automotive Technician with L1 and/or years of automotive repair experience. Positive demeanor and the ability to relate well with other employees and customers. In depth experience in vehicle maintenance and diagnostic repairs, including the use of appropriate power and diagnostic tools. Good attitude and desire to work in an independent environment. Applicants must have a valid driver’s license, good driving record and a clean background. Growing independent shop, excellent reputation. Full-service European automotive repair, specializing in the sales and service of BMW, Mercedes, Volkswagen, Volvo & Porsche. We are conveniently located across from The Lakes at Thousand Oaks, and we offer our employees a clean working environment, great compensation for the right person, paid training and more. For more information, please call Mirek (805) 497-7003. Give the gift every European car owner wants, loves and needs…the gift of service! German Tech gift certificates are available in increments of $100. Please Contact Us or call the office (805) 497-7003 for more info. We've never met anyone who doesn't like saving money. So $ign-up for valuable discounts and coupons from German Tech Auto Repair & Sales.